Physics professor Francis Slakey thought he could maintain his isolated lifestyle, even after deciding he was going to climb the highest peak on every continent and surf every ocean on Earth. He was wrong. 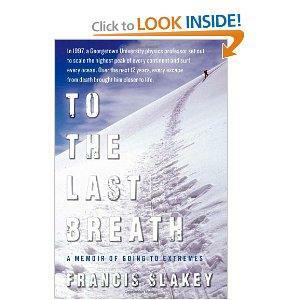 During the sometimes dangerous journey, he gained a sense of humanity he hadn’t expected, and he’s written about this odyssey in To the Last Breath: A Memoir of Going to Extremes and he spoke by phone with Mark Perzel.